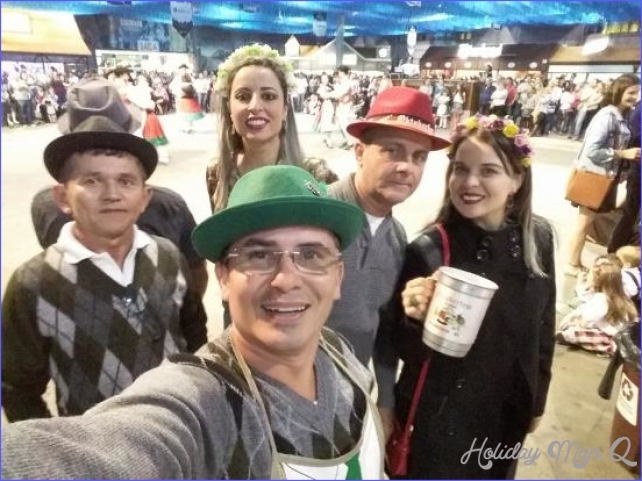 It was at the exact moment that thousands of people dressed in lederhosen and dirndl started singing a German drinking song in thick Portuguese accents that I had to step back and really think about what was going on. There I was, in the sultry south of Brazil, somewhere in the middle of a series of trips that took me to five continents in two months, all in the search for The Best Beer in the World (I wrote a my blog about it)—and I couldn’t believe what I was seeing. 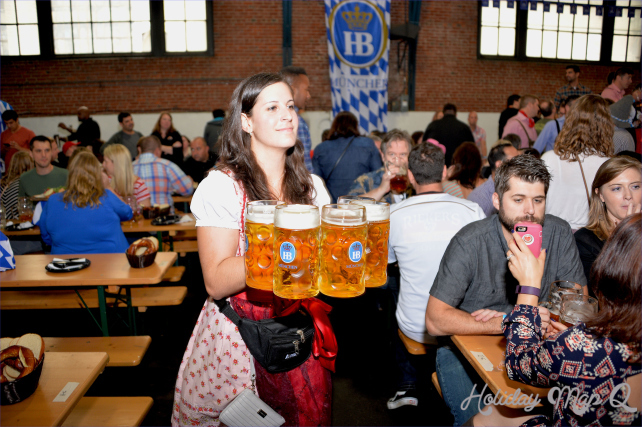 It wasn’t just the Brazilians in German outfits; it wasn’t the oom-pah music with the samba beat; it wasn’t even that everyone was drinking German-style lagers from large tankards while surrounded by dense, dark subtropical forest. What really struck me was how this town was built to look like a postcard illustration of a Bavarian fairy tale. 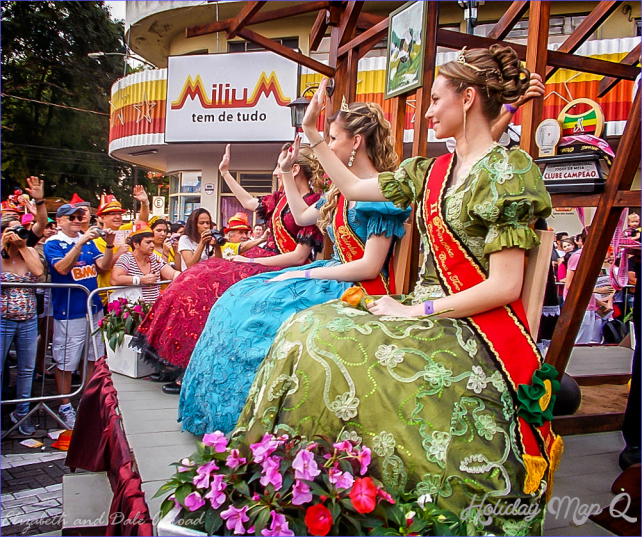 The town is called Blumenau and is named after Dr. Hermann Blumenau, a well-connected German chemist who founded it in 1850, bringing with him a small group of immigrants from his homeland. 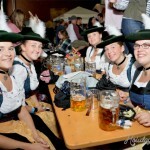 The town gradually grew over the decades, as more Germans arrived and were joined by increasing numbers of Brazilians. 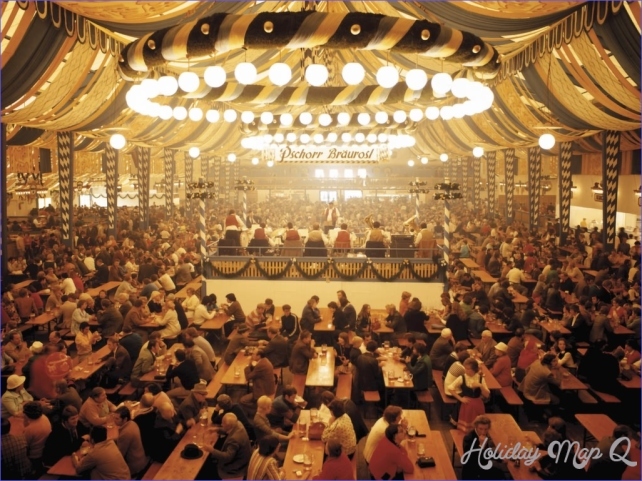 A century later, in an attempt to draw in the tourists, the town decided to market its German-ness and play up to its past, eventually leading to 1984 and an ostensible Oktoberfest, which has since become an annual thing. 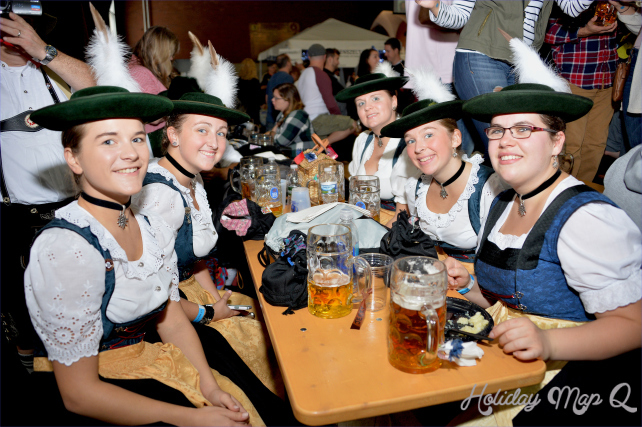 Alongside the party, they built a replica German village, complete with a small castle modeled on the town hall in Michelstadt, Germany, and lined the streets with stores selling typical—or stereotypical—German clothes, food, and beer glasses, all while encouraging the citizens to embrace the town’s German heritage. 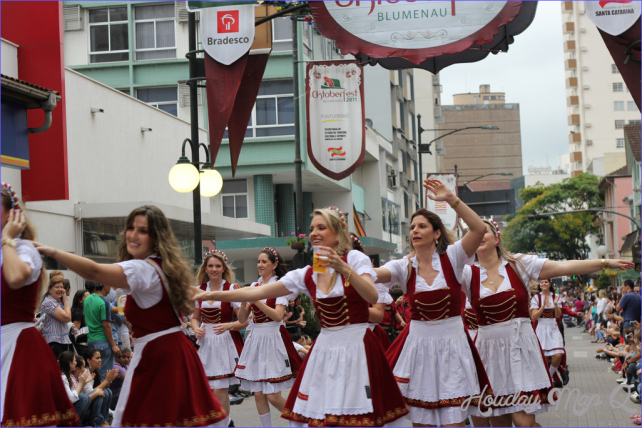 Today the people of Blumenau call their Oktoberfest “The Party.” The whole town builds up to it, the whole town gets excited about it; they dress up and drink steins of German-style beer. If they didn’t do it annually, and they didn’t take it so seriously, you’d almost think it was the most elaborate parody you’d ever seen—a trick for the tourists. But it isn’t. 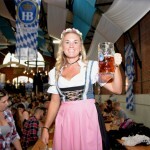 And it’s a big deal: The Party has literally put the town on the map and draws in hundreds of thousands of visitors every year, making it the second or third largest Oktoberfest celebration in the world (there’s another in Canada which challenges this for second place behind Munich). 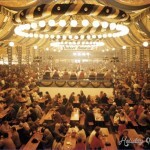 The festival is held in three huge tents, each with different live music and atmospheres (although it all blurs into one around midnight). 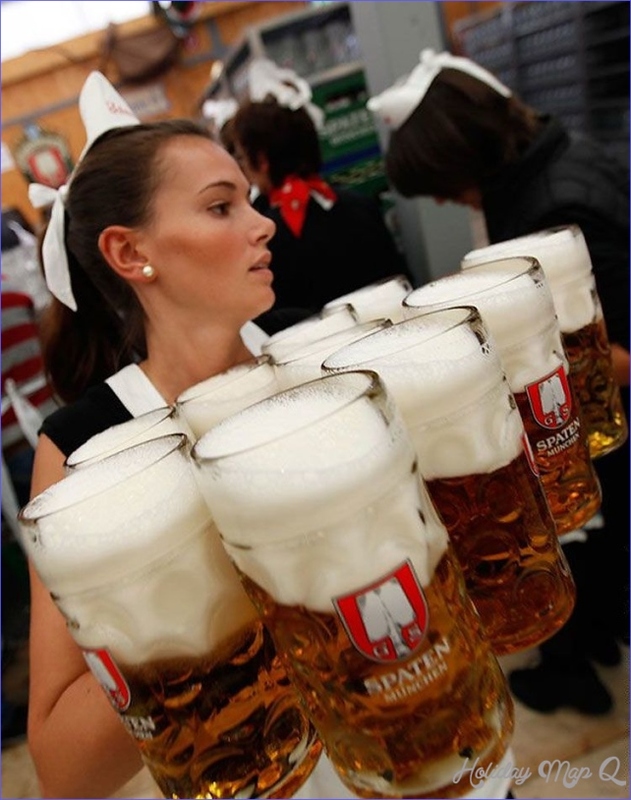 The beer is good and includes plenty of local craft beers, often with their own takes on German styles, plus a few Pale Ales—look out, in particular, for Eisenbahn. 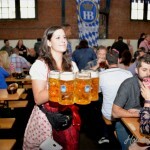 But what is quite different from the Bavarian festival is the sexiness—or the promiscuity. Everywhere I looked, people were making out with each other. The Party is exactly that: it’s a place to go to let loose, drink lots, and have some fun. As I stood in the sweaty heat, drinking local Pilsners, repeatedly and drunkenly shouting something like “Zicke Zacke, Zicke Zacke, Oi! Oi! Oi!” and watching people get off with each other, I couldn’t help but laugh. 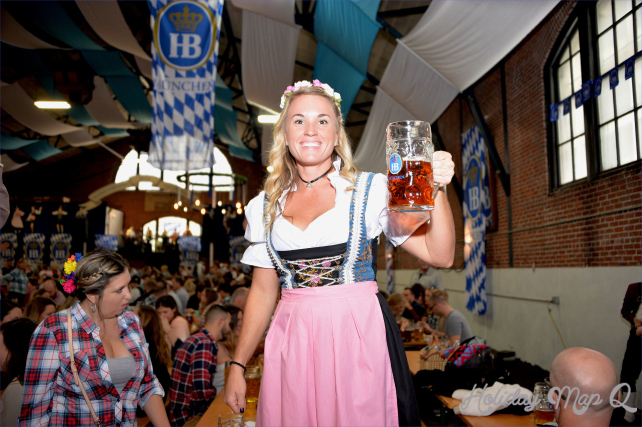 This is one of the most surreal and wonderful and unexpected world beer festivals in a town that looks like a scaled-up version of a South German toy town. 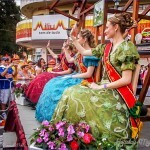 Blumenau’s Oktoberfest is not the easiest or cheapest beer event to get to; it’s not the best beer festival either, and you probably won’t find the greatest beer you’ve ever drunk, but you will experience something totally unique. HOW: Takes place each year around the middle of October; www. 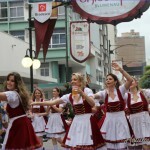 oktoberfestblumenau. com. br. 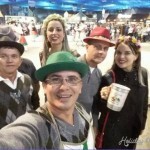 A visit to Blumenau’s Oktoberfest has to be one the most culturally disorientating experiences in the beer world.